Amid all the hype of Apple’s September iPhone and iPad Pro announcements, Apple introduced its new Apple TV--seen as a graduation of the product from hobby to full-on entertainment, gaming and development platform. That's a big deal since Apple TV heretofore was a passive entertainment box that sat underneath the television, with pre-defined channels such as Netflix and Hulu. Indeed, it was really known more for what it didn't have--such as apps in the App Store or third-party app ecosystem--than for what it did. This has now changed, of course, as the new Apple TV sports much more robust hardware--with more RAM and an A8 processor to match what Apple has on its iOS devices. All of this supports the introduction of tvOS, an SDK that opens up Apple TV to third-party developers and enables them to create the same immerseful and engaging games, apps and Netflix-style video platforms we are accustomed to on iOS. No longer is the Apple TV a second-class citizen in Apple’s app-driven ecosystem. In this article, we will teach you how to start building for the Apple TV and tvOS. tvOS SDK enables developers to develop for Apple TV--a platform that had previously been closed. This fact is all the more surprising when you consider Apple TV was first released way back in 2007 (the same year that the iPhone was released). Built for the new Apple TV, which also boasts the ability to interact with one’s television using the bundled Siri Apple tv Remote, tvOS allows third-party developers to build (or extend their existing) apps using the traditional iOS frameworks, in the familiar Swift or Objective-C, by allowing their apps to conform to protocols that can be responsive to the new remote navigational control gestures (as opposed to the touch gestures we are more accustomed to on iOS). Why Build for tvOS and the Apple TV? With tvOS and the new Apple TV, unlike the more established Apple ecosystem platforms, such as iOS, developers have the opportunity to develop for a platform that is really at its embryonic stage--where fewer apps are available and competition isn’t as fierce for mind share. This presents a golden opportunity for developers to establish a platform presence, provided their app use case is applicable to televisions. Guitar Hero, which has made itself famous on other platforms, including iOS and gaming consoles like XBox, has announced that a tvOS app is on its way. When you think about the app being played on the Apple TV with one or more controls (remote or even a game control), you can really see the value. 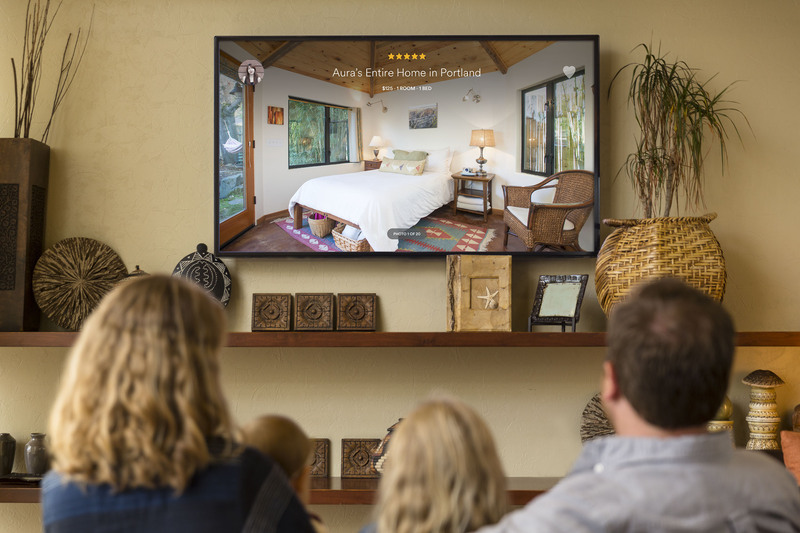 AirBnB is another app that will make its way to the big screen (the big TV screen, anyway)--and one that makes sense as a shared-engagement experience. As we mentioned, there are two approaches to tvOS development: custom apps and TVML. With TVMLKit being a completely new framework--consisting of TVML, TVJS and TVML--let’s start-off first with that. Doron Katz A keen passion for emerging technologies, practices and methodologies, Doron embraces the vision of lean development with continuous customer development. Consultant for various startups, as a Project and Product Manager, with a mobile engineering background in iOS, and over 10 years of professional web development experience.